If this article is marked (continued) click here to read more! Here at our PRDA in Pictou County we have a super team headed by an extremely competent leader in Jack Kyte. Still it is not enough. Why is that? Because one small team working in one small office in New Glasgow can work their hearts out but they can never hope to spawn sufficient social and economic growth to properly sustain and grow our five towns, a native reserve, several villages and the rest of the County. That is what is required but, it is just too massive an undertaking and burden for anyone to expect out of one small office. And I would say the same in respect to every RDA in the province. So how could they do better by taking a different approach? Think about it. Community social and economic development is not and should not be just the purview and responsibility of our RDAs. It’s community business and community business is everybody’s business. But as a society, we have housed in New Glasgow all our expertise in one small office of unelected appointees with no mandate from the public while leaving most of the rest of us including our elected municipal leaders, our mayors and councilors in large measure, totally unaware or ignorant of what they could and should be doing to promote all the social and economic development that is needed in our communities. In a few days, we all will be in the middle of a municipal election. There are many seats to be filled. I’d like to see a healthy public debate proceeding among all the candidates running for municipal office concerning the social and economic development required by their voters and their plans to promote that following the election. Following the election, I’d like to see our RDAs take on the task of teaching those chosen from the people through election and given the mandate to be the community’s leaders. Many will have very little idea of how to go about fostering the social and economic growth needed in their communities. Thus I see this as an important and needed role for the RDAs to fill - that of training to give these chosen and mandated leaders the knowledge, understanding and skill to be able to fill that community leadership role. What makes amalgamation more expensive? The example he gave us was "the most efficient and cost effective public works department is one unit consisting of one worker driving and maintaining one truck.” Adding a second such unit will not change that noticeably but as you continue to add more workers and trucks it becomes more expensive and less efficient because you must add layers above them to supervise and coordinate their work and maintenance and eventually, another layer to supervise, coordinate and manage the supervisors. As you do so, the productivity of each additional truck and driver will be the same or approximately the same as the initial truck and driver you started with. However, because of the added higher salaries, benefits, offices and other operational costs that you will need to pay to maintain those supervisory and management layers, your cost per each additional truck and driver will continue to rise. I learned this hard lesson first hand when we bowed to Provincial pressure and amalgamated the local school boards in Pictou County into a regional school board. I was Chair of our school board in Pictou at the time. We had three small schools including a world famous Pictou Academy that had spawned the great Dalhousie University, a local teaching staff and one superintendent, Fred Turley, who shared an office and a secretary with Stan McNeill the Principal at Pictou Academy. When we amalgamated, Fred and the other town superintendents were moved into that present school board building on the road to Westville and each was given an office along with an assistant superintendent and a secretary to help them. There was then another superintendent appointed to guide and manage these superintendents and a group of subject superintendents appointed to rule over Math, English and various other subjects taught in the schools. That is how such bureaucracies build. It would, I'm sure, be educational to observe what happened following the amalgamation of the regional school boards into the mammoth Distrct School Board we now call the Chignecto District School Board. When I was Chair of the local school board in Pictou, we had six local representatives on the board and any parent could just pick up the phone or quickly find and speak to one us in town, the barber shop or the Post Office anytime they had a concern. I think the board cost about 150 dollars a month as we each received about 20 dollars a month honourarium to cover expenses. I wonder how many parents speak to their representative now or even know who their representative is or how to reach him or her? And I wonder what the cost per month is now for school board representatives honourariums and expenses? When a governance study is done in Pictou County, I hope these are questions that will be included. As a community developer, I’d like to share this message with you. I believe it is applicable to followers of all faiths including Christians but as well to those community members who profess not to be religious. We all are to some degree spiritual. Think about human illnesses they come in at least three dimensions. Dimensions may not be the correct word but you can be physically ill, you can be mentally ill and you can be spiritually ill. Most of us would have experienced spiritual illness caused by the death of a close friend or family member. Whole communities here in Nova Scotia have been so affected during both the Plymouth Westray and Springhill mine disasters and also by the crash of Swissair 111 off Peggy’s Cove. We talk about good spirits and bad spirits, good and evil people and all religions are related to that spiritual side of our natures. While all have a spiritual nature, many people now claim not to be religious - including numerous who declare some attachment to but for one reason or another of their own have ceased to attend church regularly or at all. They fill our church pews at special Christmas and Easter services; they get married in the church, bury their dead and have their children baptized and attend Sunday school but they do not attend regularly because they are not religious. Still, their limited usage is evidence that they recognize the Church as playing a valued role in their community. In fact, look around and think about the number of churches in your community or any of the surrounding communities. You’ll quickly come to appreciate the enormous influence the Christian church has played in the growth and sustenance of all our communities since the coming of the original settlers to these shores. Yes, our Christianity has seen bad and even some evil clergy and for sure, there have always been interchurch rivalries, bickering and even some causes of hard feelings. But overall, our communities have benefited greatly from the high moral values and standards with which, from cradle to grave, the great majority of our Christian clergy have been concerned to imbue our populations as they’ve taught us not to kill, not to steel, and to love our neighbours rather that to covet what they possess. That is why I believe we should all support our community churches. You should support your church financially - even if you choose not to attend, to be religious or to believe in God. Think of your community without His influence. It won’t be a safe or pretty place! That is a direction in which we are heading. Church attendance is steadily falling off and our churches are falling into disrepair and financial hard times as our communities’ peoples fall away from following God and caring for their neighbours leaving ever fewer to shoulder the burdens and responsibilities of community. Our influences for good are slipping away on us and no one is paying much attention. As people choose instead to be guided by their secular self interest, we also find our community food banks really struggling as are most of our service clubs and local non-profit service and charity organizations starving for both financing and new volunteer help. This past year, community financial support of the Pictou County United Way was way down and no significant recovery in that seems very likely. And this is not to say that all of the influences in our communities are disappearing. That would be wrong. Some are actually growing. I see in the news today where Nova Scotia has six hot spots where illicit intravenous drug usage is on the rise and four of the six are right here in our Pictou County. Think about that! Are you doing all that you can or your share to help your community continue to develop as a safe and desirable place to live? Or, are you off somewhere in your own world expecting that such necessary work will somehow get done by magic? So, I'd like to echo again with you those word of John S. Rice, "Walk with me, I will walk with you and build the land that God has planned where love shines through." Investopedia explains Black Swan - Black swan events are typically random and unexpected. For example, the previously successful hedge fund Long Term Capital Management (LTCM) was driven into the ground as a result of the ripple effect caused by the Russian government's debt default. The Russian government's default represents a black swan event because none of LTCM's computer models could have predicted this event and its subsequent effects. Let’s review a bit of relevant Keynesian economics. John Maynard Keynes (1883-1946) was without question the most influential economist of the last century and probably of all time. Some truths he and his followers demonstrated were actually astounding. Now to most people, such a statement sounds so silly and unconnected as to be illogical. Yet, its truth we see daily in the crazy ups and downs of the stock markets, wildly responding to the state of belief inspired by every new economic rumour or pronouncement. Thus investment advisors recommend high quality interest bearing bonds (which are not susceptible to such fluctuations) to seniors, the faint of heart and others who can not afford to take short term losses or “weather the storm” of economic downturn. However, history shows that those who can risk short term losses and wait out downturns always do much better by investing carefully in the more volatile equity stock market. Good, well run business, in the long run will do better than those which are not and you will reap the rewards. Secondly, the contribution of Keynesian Economics also included the spending multiplier. To get a basic or simple understanding of that, think of a dollar you spend in the local corner store. (Now I don’t really know much you can buy there for a dollar anymore but let us pretend you buy four pencila on special at the dollar store.) Part of the money you spend goes to cover the cost of producing the pencils but other parts contribute to its transportation to the store, middlemen charges, the store’s electric and water bills, salaries, and store profit. Those receiving a portion of your dollar in turn go out and spend some of it on their own consumption thus contributing to the economy. And the process continues. Your original dollar is thus split into many parts and is re-spent by others into smaller and smaller portions. Modeled in the economics lab, it can be shown that your original dollar, by the time it works its way through the economy, has had a five dollar effect. The spending multiplier then is 5. Warning – it’s not really that simple. In the instant case, the Black Eyed Peas likely spent their fees back home contributing to their own economy. That portion would have been lost to Halifax. However, such concerts do require and inspire a lot of related spending in the Metro economy - all the spending on building and tearing down the equipment, the rental of hotel room, spending on parking, gasoline, in local stores and clubs, etc. The spending multiplier works on all these too so it is unlikely that the city’s economy could truly lose in the long run in supporting this type of business venture if it is well run. The economy might lose on a concert that is cancelled or fails to attract a crowd but in the long run, if the promoters and organizers are doing their jobs well, your economy will benefit greatly from the spinoffs. Yes, all part of the mayor's duties, but I’ve discovered that its even bigger. In reality, modern cities and towns are governed by an elected executive called the mayor, an elected legislative body called the council and by other officers and employees as are provided for by statute or town/city bylaws. The mayor’s job has a unique history. Like medical doctors whose position evolved from barbers, the job of mayor position grew from the Lord’s reeve or tax collector of feudal times. I’ve never been able to locate a good statement of duties for a mayor. It’s one of those jobs that can not really be defined and written down. There are times in the life of a community when immediate decision or leadership action is required and no one has the assigned responsibility to take it. It is the incumbent Mayor’s duty to rise to the occasion whether that means cutting a ribbon or leading the population through disasters and other unchartered waters. The mayor must also look after the black swans. You must accept that as part of his duties if you want a major league mayor running your city. My questions now would be to the HRM Auditor. How many times has Kelly participated or somehow been involved in business deals to promote the city’s economic or other development? How many of these ventures succeeded? How many failed and lost taxpayer money? What is his complete track record? We shouldn’t judge him on a single failure. Mayor Giuliani was Johnny-on-the-spot that day. Everywhere the cameras went, he seemed to be there, showing his constituents that he was obtaining the answers we so desperately required. I hated to admit it, but the mayor helped me that day. The man I wanted out of workplace for his cavalier attitude and my-way-or-the-highway mentality was now expertly reassuring this cynical New Yorker with his cavalier attitude and not-on-my-watch swagger. Boy, did I feel like a hypocrite. As the 10th anniversary of September 11 draws near, I know I’ll relive that terrible day over and over in my head. How could I not? And embedded in those memories was my realization that I genuinely needed Mayor Giuliani that day to tell me—to promise me—that everything was going to be OK. And he did. Damn it, he really did. And that’s what a major league mayor does. Halifax’s Black Eyed Peas event is a dark swan. 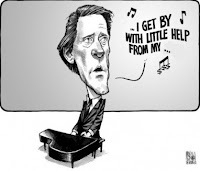 Like many others, I’ve been following the Mayor Peter Kelly and the lost concert promotion funds issue that the HRM auditor general uncovered. I suddenly realized that it's a black swan. On Sunday, my friend Brian Burris received Black Swan, the award winning video, for Fathers’ Day. He suggested we all get together to watch it on my big screen TV which we plan to do tonight. However, my wife has heard that many have found this movie an unsatisfying watch as it’s very deep, dark and hard to understand. So, to prep for the viewing, I’ve gone on my computer to Google a bit of analysis and as part of that process, I discovered that the concert promotion financial loss issue is a black swan. I'll publish an article here sometime next week to explain that revelation. The Pictou Regional Development Agency (PRDA) will hold its annual AGM and Economic Forum June 9th, 2011 from 5:30pm to 7pm at Glasgow Square. The theme this year is “A Welcoming and Inclusive Community” and the Honourable Mayann E Francis, ONS, DHUML Lieutenant Governor of Nova Scotia will be guest speaker. And here is the rest of it. My topic today, CHAD Transit, concerns at least two (perhaps more) of the essential sectors of a good community – transportation and leadership. So, I'll also direct the content in an open newspaper letter to Katy MacDonald the new Community Development Officer. At the meeting on March 8th called to discuss CHAD’s succession, I was pleased to see the communities’ elected leadership well represented. I understand that many of (...continued) our councillors have their regular jobs, but there was at least one present from all six municipal councils. One advised that he received his marching orders to be there not from his Council but from his wife – although he may have been joking as everyone laughed. During the discussion, that Councillor and others advised that they all fully supported CHAD Transit and could see and appreciate the great benefit its transportation system gave to people with disabilities and to seniors. However, they did not perceive any need other than in those two groups – others who might benefit from a public transit service were not calling their councillors or coming to their meetings to request or demand such a service. And generally that is what councillors do – they listen to those requests and demands and make decisions as to what they can fund within their budgets with a reasonable tax rate. As the meeting was breaking up, I spoke for a minute with Councillor Parker. He allowed that yes indeed, councillors generally waited for and dealt with the requests and demands of their constituents but he was concerned that always just being reactive was not good community leadership. I agreed – that is not good community leadership. Municipal Amalgamation - Be careful what you wish for! However, a consideration that neither mentioned was the relative numbers of municipal staff in the two areas. How is that relevant you may ask? Well, I took a good look at that report Councillor Naylor provided for us on his town. What do you suppose the chances are that the mayor or any on the councillors in Toronto could provide that full and detailed a report on the city of Toronto area? There’s not a snowball’s chance in h-ll that any of them could. If they wanted to provide such a full, detailed report to the public they would have to employ an army of paid underlings to research and write it. Councillor Naylor works fulltime and only has part time hours to devote to council duties. Yet, if you want to see or talk to him about a town problem, you can run across him in the area most days or track him down pretty easily. Not so in Toronto, where the only time you’ll see your councillor is election time of at a photo-op. Naylor is likely on a first name basis and discusses town issues with over half of his constituents. Toronto councillors probably don’t even know their neighbours if they live more than three doors up the street. This is not the first time municipal amalgamation has been studied. Years ago when I was on Pictou Council, we looked at it very closely both locally and provincially through the Union of Nova Scotia Municipalities (UNSM). I recall an American expert the UNSM brought in to discuss and answer our questions on the relative merits of small town and city governments. He drew our attention to the inverse relationship between the size and the efficiency of any workforce (including municipal). He pointed out that the most efficient workforce is one man working with his own truck or machine. With each additional man or machine you bring on you lose efficiency because you now need to take time for communications and scheduling. When you get to 5 to 7 workers you increase cost and drop efficiency again because you now need the added expense of a supervisor and so on as you continue to build your organization. The truth of this scenario really hit home to me when we amalgamated our school boards. When Pictou had its own school board, our superintendent, Fred Turley shared an office and a secretary in Pictou Academy with the principal, Stan MacNeil. Both knew their own jobs and their areas of responsibility so all went well. However, when we amalgamated the boards in Pictou County and moved the superintendents out of their areas, they were all in unfamiliar territory and each suddenly needed both an assistant and a secretary all of whom moved into unfamiliar work areas so it also seemed necessary to hire supervisors of math, English, etc. to coordinate the teaching throughout the County. At that time we needed and had few if any school buses as students in Pictou mostly walked to school; our schools were shut down when we had a heavy snow in town; and, six local school board members in town coordinated education in Pictou with both student and community needs. Now we have lots of expensive school buses running around the town; our schools shut down if snow is forecast to fall in Lantz, Enfield or any other place in the Chignecto area where ever that is; our school board members now represent not municipalities but numbered poling districts and town schools and students educate mostly in an education bubble, isolated and separated from other municipal systems. 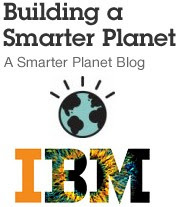 Another important consideration is the way urban communities grow. Look at any city. You’ll see both wealthy areas and poorer or even slum areas. In Pictou County, we have five town councils with community leaders each fighting with relative success to bring some of the economic benefits being shared to their area. But examine a map of Pictou County. It doesn’t take much genius to predict what will happen if you amalgamate and centralize those councils and radically reduce the number of elected officials who actually know, have direct contact with and speak up for the citizens. The richer areas like Abercrombie and part of Stellarton will get richer; the poorer areas like Westville, Trenton and perhaps to a lesser extent, Pictou will get poorer. Now I am not against amalgamation. I just urge all to be careful what they wish for. But, if you are willing to accept those inevitable drawbacks and changes in your community, and if you truly believe that what is good for the County is good for all, there possibly are substantial benefits to be had in going city government. I just believe we could take the time and put in the effort to do it both ways. In university economics class many years ago, we would speak about the factors of production (land, labour and capital) and note that of the three, we students (labour) were the only factor of production which was expected to pay for its own development. When I worked at the Employment Centre, I once asked a few unemployed university business graduates why they didn’t apply for the manager trainee positions that a number of the big box retail outlets (Sears, Woolco, Zellers) and finance companies were advertising. Starting salaries were minimal but within a few years, a college grad could do quite well as a store manager or assistant manager. The students replied that they would love to apply for those jobs but could not. At the low starting salaries offered to trainees, they would not be able to make their required student loan payments. The government has a website where students can estimate the repayment on student loans over a usual period of 10 years or if they have it extended to 15 years. A student loan of $50,000 is not uncommon so I just went on the site to estimate the payments for that at prime+5. New graduates with such a loan are required to repay $572.61 a month for 10 years or if they choose to put their lives on hold for 15 years, they can cut the payments to $421.87 a month but they will repay an additional $8,126.88 in interest. Just think about the starting salary they must seek in order to make that bank payment off the top each month. When I took economics, we recognized land, labour and capital as the three factors of production. In the years since, enterprise and knowledge have been recognized as a fourth and fifth factor. When we educate our students, we expand their knowledge. However, saddling them with heavy debt obligations forces them off the farms, away from rural roots and into the cities or other parts of the country and world in search of high starting wages. It prevents their remaining in or returning to their rural areas where they could use their new knowledge to grow or expand local enterprise. Yes, students should pay something but a government set rate of prime+5 is five points too high. Government should not be seeking to make money off our new graduates who are trying to establish themselves. Student loan repayment should be at prime. 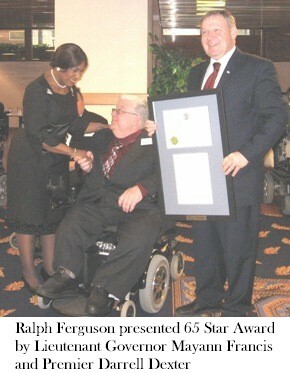 Ralph Ferguson received a "65 Star Award" on March 30, 2010. 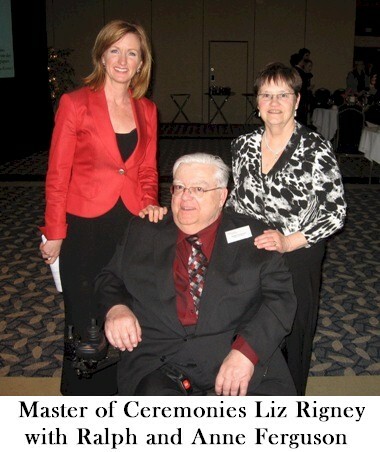 The presentation ceremony, in conjunction with a dinner hosted by ATV's Liz Rigney, was held at the Trade Centre in Halifax in celebration of the 65th Anniversary of the Canadian Paraplegic Association. This award given to recognize and honor exemplary role models, was presented jointly by Lieutenant Governor Mayann E. Francis as the Queen's representative in Nova Scotia and by Nova Scotia Premier Darrell E. Dexter. reads, "You can take great pride in your achievement. 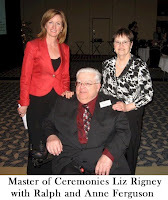 You are a wonderful role model for all persons living with spinal cord injury and other permanent physical disabilities. My best wishes for continued success and happiness in your endeavours." 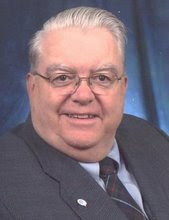 Premier Dexter's said, "You are a shining example of how to live life to the fullest." Recently Pictou County's new top cop, Staff-Sgt. Steve Halliday has been gathering input at public meetings designed to help the District RCMP to identify local issues and determine its prior¬ities for 2010 in terms of what area residents are looking for. Constitution and Legal System which includes policing is one of the 12 community sectors. Our policing and legal system are areas within this sector with serious difficulties. From a community development standpoint, anything which splits or disunites our community’s unity of purpose is a problem. Whose fault is that? - not relevant. What is relevant is that all of us are at fault who fail to repair fixable problems in our community. (...continued) So kudos to the Staff-Sgt. for taking this first step. On December 29th, in Ottawa a much loved member of his community, police officer Const. 'Eric' Czapnik was on a routine call. Sitting in his police car writing down his notes, he was ambushed and stabbed to death by Kevin Gregson, a deranged and suspended member of the RCMP who had brain cysts surgically removed. This tragedy shocked the whole community which joined the family in mourning his death. The unusual circumstances involving both city police and RCMP attracted wider news coverage. At the subsequent funeral, a uniformed police honor guard would have been seen as a very appropriate gesture of solidarity. However, what actually transpired all captured and broadcast on national TV cast a terrible optic! A funeral is an event to give family, friends and community an opportunity to show respect and say goodbye to a loved one but here viewers saw thousands of uniformed police marching in a procession that stretched about two kilometers led by 1500 Ottawa police in navy blue uniforms, a block of 1000 military police and RCMP officers in red serge, 50 U.S. and international police and 300 Quebec police. The view was marked with the sound of drumming to keep the beat and boots hitting the pavement in unison and was just overpowering when they all entered the church. A gesture of police solidarity is one thing but such a massive police display put an unintended focus on the event which made very bad optics. We should want policing to be seen as a desirable and essential cog in the wheels needed to properly run our community rather than as its controlling force. However, there is the risk that our community citizenry and our police may view each other in an adversarial “we/they” light. That attitude divides us and is harmful to community. Bad optics or anything that promotes it should be avoided. Then there are those who don’t report wrong doing they observe or know about and it is not because they condone the bad act or fear the police. Generally, police are seen as handing out tickets and laying charges without fear or favor and probably that is a good thing. But often things are unreported because our legal system on the other side of the police is seen as draconian and ineffective. We read the court notes and see the same names over and over again. We want to see people we know behave properly and live good lives. We don’t want to see them tangled up in the web of the criminal justice system and eventually winding up in prison. I know when I read the court notes, I often think our lawyers and judges are accepting responsibility to properly resolve cases where they don’t have the proper tools. The vision that comes to mind is of a carpenter building a new house and using his hammer to break all the boards to the correct length. I may expand a bit on that thought some other time but I think perhaps we'll leave it there for now. You can find and view that photo by clicking on the question, “would you have invested” in a computer search engine. Take a look at it. That photo flashed in my mind recently as I gazed at another picture and read your story In a league of their own in The News. Here the local story was of six young boys from East Pictou Middle School who recently travelled to Acadia University where they competed and claimed top prize in the First Lego League Smart Move robot programming competition. Middle school students - Wow! A few days before that story another article reported on MP Peter MacKay’s talk to 60 university students who were taking part in Atlantic Canada Student Summit held at St. Francis Xavier in Antigonish. The event was organized by an ACOA student steering committee and described by MacKay in part as, “an ideal venue for post-secondary students to share their ideas and discuss issues facing Atlantic Canada…” How true! But just perhaps we are missing the boat if we are waiting for our students to reach university or even high school before we take serious note of their talents and begin to support and involve them in our community building. Then there was It’s a long road to the big screen, another story in The News this month that caught my eye about Layne Green, a student from Blue Mountain with aspirations to become a movie actor. Four years ago at age 13, he landed one of the principal roles in Summerhood, a movie set in the 1980s and filmed in Nova Scotia about what happens at summer camp. Green tells us that “It’s really good”, has already been seen at the Atlantic Film Festival and now he’s asking for community support to help bring the film to New Glasgow so we can all see it here. Why not! I’ve said before on these pages that we must develop our community education sector. We must give students enough of a community education that they can see opportunities to survive and thrive in their home communities. But there is another part of that education too. We must allow and encourage our youth to dream local dreams but we must also teach the rest of the community how to help them in the building of those dreams for the good of everyone in the community. The story goes that a few years back a young man was in a bar in Pictou trying to scratch out a living for his family by strumming his guitar and singing his songs. This chap had been at it for quite a while but looking over his audience of a mere 12 people he was very discouraged and thinking of “packing it in” and changing his career path. About two months later, my wife and I were across the street from that same bar and perhaps 50 yards down the street. The same chap was back there again, strumming his guitar and singing his songs. I had heard his name and I knew his mother who also sang with her sister in the local area. I had come this far just to see what he looked like but I couldn’t get any closer in my wheelchair because the crowd was jam packed, standing shoulder to shoulder and had the entire street blocked. So what was the difference? What had happened in those two months to create this difference? Same man, same guitar, same songs. The difference was what I call royal jelly or you could just call it the needed promotion and support. After he came second in a TV singing contest, someone recognized his talent and smeared him with royal jelly by paying for a few radio ads, tying ribbons around all the power poles in Pictou County and renting a bus for a day to drive him around. Fred Lays was gone and suddenly with the needed support, George Canyon the celebrity emerged. In the summer of 2003, writing in See/Hear, a newsletter for the Blind and Deaf, Jim Durkel expanded on the idea, a place for everything and everything in its place. Durkel used the French phrase of professional chefs, "mise en place" (meaning "put in place" or "prepared ahead of time") to describe a type of organization where the first step is to measure all the ingredients and line them up in the order in which they will be used. He wrote, "This kind of organization is important for all children, especially those with visual impairments. Thinking about an activity before it happens, thinking about what materials will be needed, reviewing the steps that will be needed to complete the activity, then gathering all the materials ahead of time saves time and effort." So when a thing is out of place, you may be lucky if it is simply two things with each in the spot reserved for the other. But often, it can be the start of a chain of misplaced items that becomes an untidiness and eventually turns into a true mess. Things that need doing are similar. If someone is slacking off or absent and another is picking up the slack, it is very likely that person will not be left with sufficient energy or time to give full justice to his own work. Now here’s the thing: The Chamber of Commerce, a business group that is privately organized and funded, spends a lot of effort advocating to tell government how to run things. By comparison, the PRDC is a publicly funded body and its best and most effective efforts are in telling private business how to conduct business affairs. When we were setting up that centre, did we somehow get their roles reversed? So, with both doing good work is some role reversal a big problem? Yes it is. These are two local organizations that are taking leadership guiding roles in development. In that regard, we need for them both to rethink through what should be their appropriate mandates as well as to develop a proper understanding of what should be their respective roles. The private and public sectors should be differently motivated. While the private sector is correctly driven, guided by competitive business concerns, legislation and the bottom line, public sector organizations should cast a wider view in the community to measure their successes. For example, studies are commissioned by both private and public sectors. When private business commissions a study, it should seek to get the best study at the most competitive price. However, while quality and competitive bid should be important considerations for work commissioned by public bodies, other local community considerations are also proper. Every healthy community needs a developed research and use of findings sector. But you will never develop your local talent in that community sector if you continually award such work to outside contractors. Short term pain for long term gain is a consideration that local public bodies like PRDC and our municipal councils should bear in mind. It is not a matter of awarding contracts to locals out of favouritism. But, in cases where it will help us to develop and foster long term health and growth in a community sector, supporting our own will likely prove in the community’s best interest and we should accept a little lower quality or a bid that is a little higher.